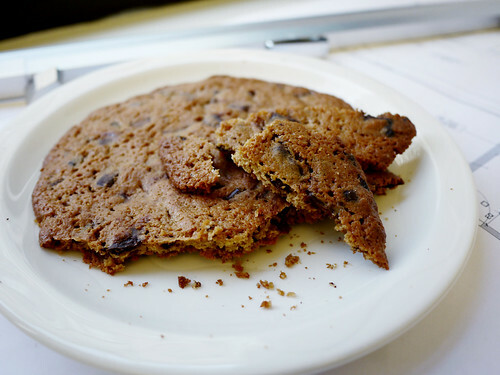 Not for the first time, a cookie judged by its slightly burnt, deeply browned appearance completely lets us down. In fact this cookie so gravely failed us that we couldn't even have more than a bite or two. It's hard to describe what precisely offends, but there was no flavor to the cookie, it was like eating a well textured piece of baked sugar and flour. Bleh.